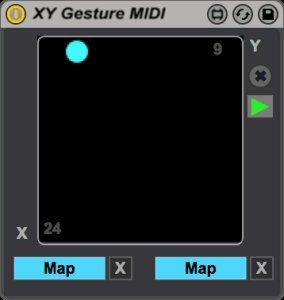 XY Gesture is a fun and useful device that lets you record your mouse movements and play them back as automation data for any parameter mappings – effectively turning your mouse / trackpad into a controller. You can store XY Gesture’s parameter assignments as presets and load them with your Sets. Anti-Warp is an experimental performance device for Live’s Session View. Dropping it into one an audio tracks lets you un-warp (decouple from the master tempo) and loop the currently playing Clip. You can mix the warped and un-warped signals, change the playback speed, pitch and direction of the un-warped clip – all without altering the warped clip’s settings. 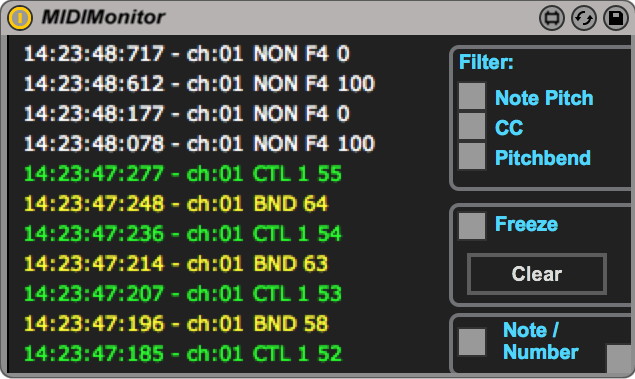 MIDI Monitor displays various kinds of incoming and outgoing MIDI in a scrolling window. Data is color-coded by type and can be filtered, frozen and cleared. Choose between note name and note number displays. And don’t forget to check out the bonus animation mode!